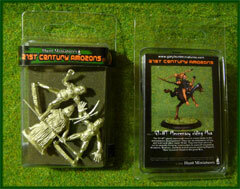 Download information on the 21st Century Amazons world here. 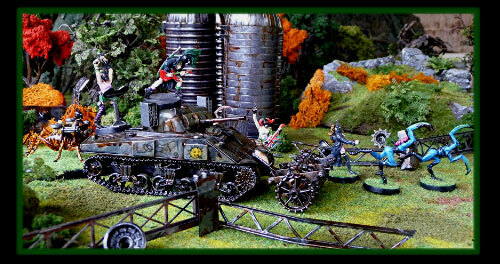 Pioneer, Brother Marcos has set out to find a new site for colonisation. He travels with 3 pack Moa and has hired a very experienced mercenary. Entering a clearing Brother Marcos encounters an ambush. 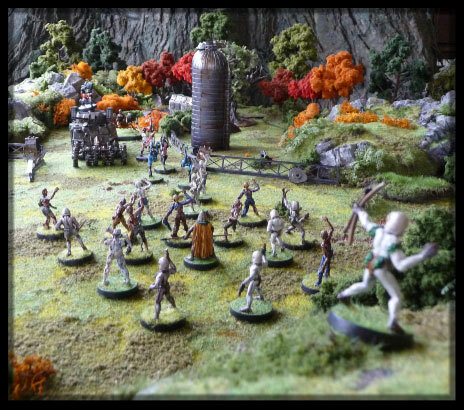 Mudmen scouts must have heard the pioneer and his baggage train crashing through the forest and herded up their zombies in preparation for attack. Luckily Brother Marcos' bodyguard is close-by and alert. 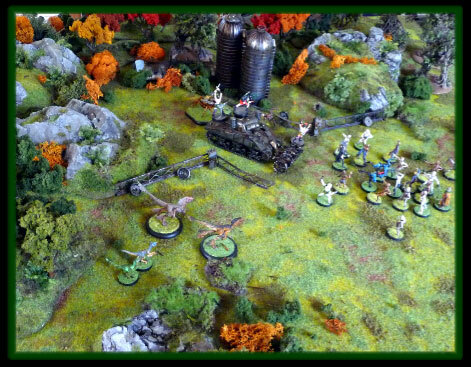 The Mercenary charges forth and the pioneer steps aside. 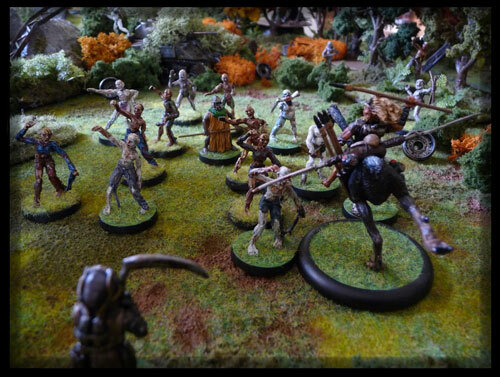 Too fast for the mudmen's arrows, the Moa rider sweeps past and mows down the first row of zombies. Will they survive and find a suitable site for their brethren to colonise? 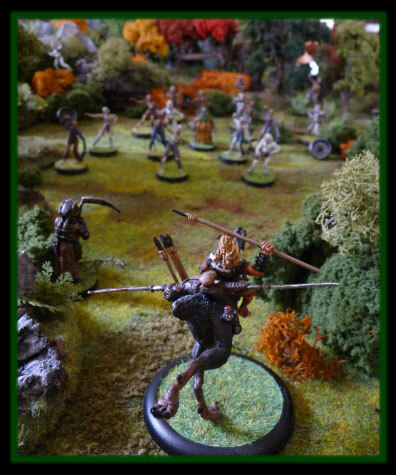 A small group of Amazons have taken up refuge in an abandoned refinery. Food supplies and ammunition are running low. Knowing full-well that they have been surrounded by Mudmen and Zombies for weeks they make a run for the nearest Enviro-dome. The Amazons, low on ammo start up their crippled tank, hoping to disorient their foes with the latest rock ballad. 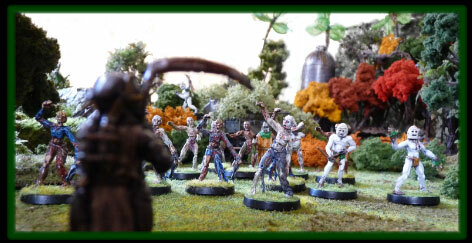 Before they have time to leave the compound the ever-vigilante Mudmen herd a pack of zombie into their path. From a nearby ridge, Mudmen reign arrows down indiscriminately. 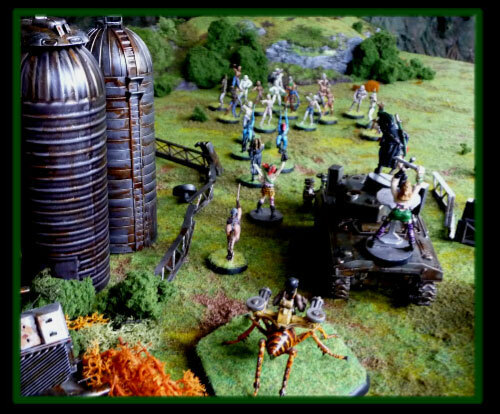 Zombies are easy prey for the mantis girls but hamper their progress. Mudmen hidden in the ranks of zombies attack sporadically. 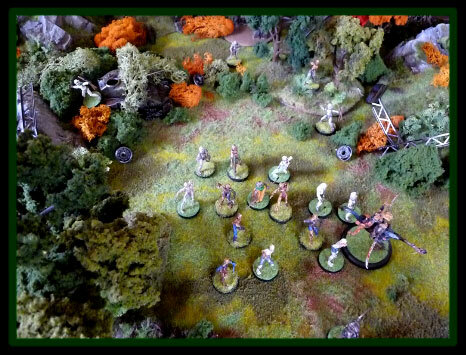 As the band plays on a ravenous pack of Raptors close in hoping to lunch on punk.